hd00:10Cook turns over with help of forceps various vegetables such as eggplant, pepper, zucchini and mushrooms. Healthy food is cooked on the grill. 4k00:11Fried pepper on a frying pan. 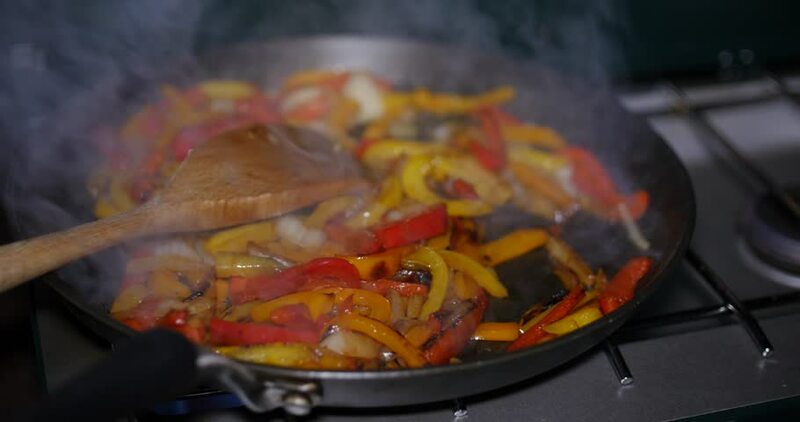 Fried colorful vegetables on a frying pan.